Seoul, South Korea -- Few expect any instant conclusion in a dialogue expected to be held between Archbishop Chung Jin-suk, the top leader of Korean Catholic Church, and professor Hwang Woo-suk soon after the latter returns home from a convention of world stem cell researchers in Houston, Texas. Still, it is reassuring that two opposing sides on a matter as sensitive as the human embryonic stem cell research will seek each other's understanding through sincere discussions. Who knows, there might be some kind of accommodation under which the Catholic Church will at least step back from determining the destruction of embryos as "an act of murder?" Hwang, a Buddhist, said he is willing to meet Catholic leaders to show his respect and listen to their opinion. On the other hand, a spokesman for the Myeong-dong Cathedral has clarified that what was reported as the archbishop's statement on embryonic stem cell research was not the final position of the Korean Catholic Church but a guideline for sermons by priests. Any official view will have to be expressed by the bishops' conference or from the Vatican. The South Korean scientist's recent breakthroughs with the cloning of embryonic stem cells and the production of patient-specific stem cells have not only spurred research activities in related areas worldwide but inspired heated debates on ethical problems among religious, academic and civic societies. The media continues to deal with the issue in growing intensity with supporting editorials outnumbering opposing ones even in Catholic-dominant Latin America. In his home country, Sung Kyun Kwan, the center of Confucian studies, has presented a critical opinion while the Buddhist community is taking a rather generous stand toward Hwang's work. The largest Jogye Order indirectly approved his research by honoring him with a "Meritorious Buddhist Award" last year and has launched a project to establish Buddhist principles on life ethics which will cover all aspects of bioengineering and life science. 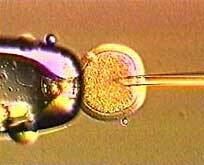 Now the issue of embryonic stem cell has emerged as a global concern as important as the problems of brain-dead, artificial abortion and anesthesia. But the difference is that the recent advancement in stem cell research is giving new hope to millions of diabetics and sufferers of spinal injuries, and many other hitherto incurable diseases, all over the world. Some sharp pens of famed scientists and journalists are criticizing the "stem cell theologies" of U.S. President George W. Bush, House of Representatives Republican leader Tom DeLay and other opponents in the United States and Europe for their arbitrary interpretation of the holy scriptures of major religions such as Christianity, Judaism and Islam to justify their claim that eggs five to six days old deserve full respect as human beings. Religion has more meaning when it delivers people from suffering and despair rather than trying to prevent even the use of surplus embryos at fertility clinics for important scientific research invoking some vague clauses in the Bible or Quran. Hwang has defended his research with two basic tenets: the stem cells his team clones have no possibility of growing to a human being and human cloning is impossible. He says he would not challenge the common guidelines on life ethics. The local religious communities, for their part, need to take a closer look at stem cell research programs and engage in dialogues with scientists about the values of the life they respectively seek to save.